Thinking about observing this Buddhist ritual? Read this first! 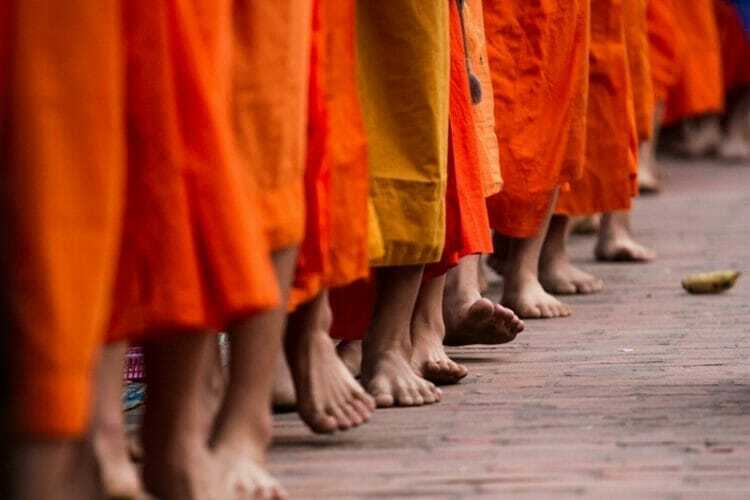 Every morning in the UNESCO-protected town of Luang Prabang in Laos, Buddhist monks dressed in vivid saffron-coloured robes quietly line up and collect offerings from devout Buddhists along the streets. 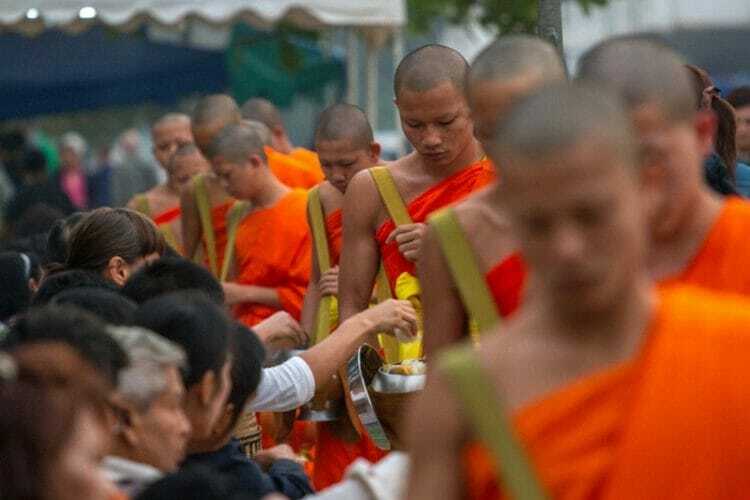 The alms giving ceremony, or Tak Bat, is a longstanding tradition in Laos Buddhist culture and a sacred ceremony for the locals and the monks, who depend on these offerings (often homemade sticky rice) for sustenance during the day. The ritual is conducted in silence and has become a “must-see” attraction for tourists – a spectacle. While it is possible to observe the ceremony, over the years there have been many horror stories about tourists who disrupt and disrespect this longstanding tradition hoping to get that money shot. 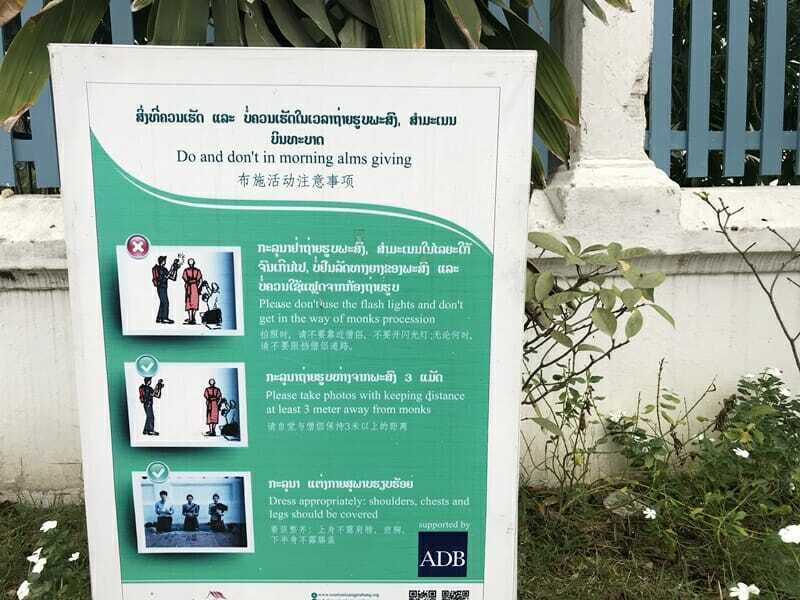 Many hotels will provide pamphlets on how to respect the ceremony, and there are posters around town reminding tourists of the sanctity of the event, but not everyone reads up on the issue. 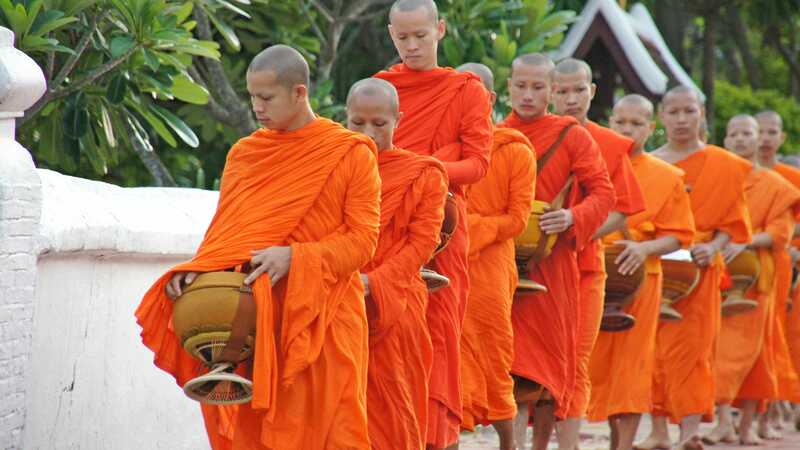 I recently spent a few days in Luang Prabang prior to teaching yoga for a month in Vang Vieng, and when I was researching things to do it’s no surprise that witnessing the alms giving ceremony was high up on the list. I am not Buddhist, but my mother is and we were raised around many Buddhist traditions and practices, so I felt that the ritual would be an important one to observe. I diligently read up on the do’s and don’ts, asked the tourism office at my hotel where was the best place to watch the ceremony from, set my alarm for 5 am on a quiet Thursday morning, got dressed and made my way out to the front of the hotel. The hotel had informed me that there was a smaller and quieter route that took place right in front of the property (“the ceremony on the main road is mainly for tourists,” said the lady), so I had planned on finding a spot further away to witness the ceremony from a distance. But then it hit me deep in my gut – something felt off. I can’t quite put my finger on the feeling but I almost felt that my presence would be intrusive. I wondered how it would feel to be a one of the people presenting offerings, humbly participating in the ritual, only to be watched and photographed by strangers. I wondered if I wanted to be that person quietly watching, and I pondered what my motivations were for wanting to be there. Before I realized what was happening, I had turned around and started walking back to my room. I spent the day reaching out to my friends, family, boyfriend and even the Twittersphere for advice on whether to observe the ceremony the next morning before my flight back to Hong Kong, and I received some very valuable advice. Make no mistake, the purpose of this post isn’t to convince you to skip the alms giving ceremony or lecture you into not attending. 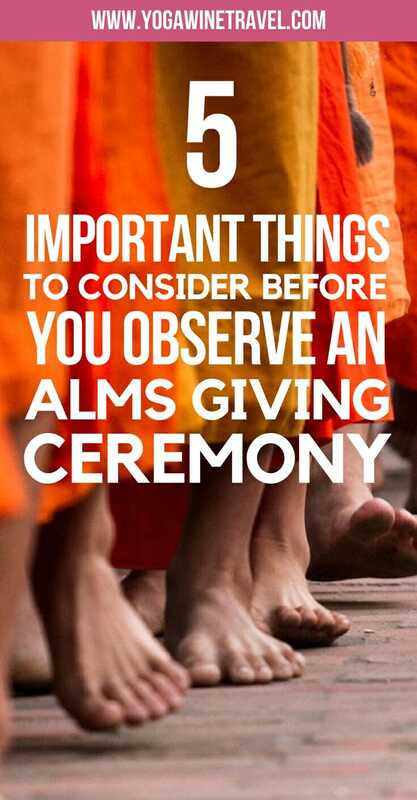 I wrestled with the decision and eventually decided it wasn’t right for me, but you might decide to attend and observe the ritual; however, before you make that decision, here are 5 things you should think about as well as alms giving do’s and don’ts. 1. What is your motivation for attending? The ceremony is a very deep and meaningful one for the local people of Laos, many of whom have been participating for generations. Please bear that in mind when you decide to observe the ceremony and be respectful of the proceedings. If you are there to document the ceremony through photographs, make sure you turn the flash off and keep a respectful distance between yourself and the proceedings. Whatever your motivations are, make sure you have carefully thought about it and know what you are hoping to get from the experience. 2. Have you done your research on the customs and guidelines? If your motivation is to learn about the culture and practice, great! Make sure you read up on the customs, alms giving do’s and don’ts and guidelines and help protect the dignity of the ceremony. For example, your shoulders, chest and legs should be covered, and you should never make any physical contact with the monks. 3. Are you a Buddhist? If you are not a Buddhist, don’t participate and contribute an offering. If you are and want to make an offering, ask your hotel to prepare sticky rice for you ahead of time or purchase it from the local market instead of getting it off the street vendors lining up along the monks’ route. 4. Are you 100% comfortable with playing a part in turning the ceremony into a tourist attraction? This factor played a large part in making me turn around and skip the ceremony. While tourists are not actively discouraged from observing the ceremony, something in my gut made me feel that I wouldn’t have felt 100% comfortable being an extra body at the proceedings and playing a role (albeit small) in turning it into a TripAdvisor “to do” item. A lengthy conversation with my family also cemented my decision not to attend this very sacred ritual for the local people of Luang Prabang. Many others have also mentioned that it can be incredibly infuriating to witness fellow tourists acting in unruly and disrespectful ways (especially along the main route along Sisavangvong/Sakkaline Road), and I opted not to put myself through that. 5. Have you thought about some of the alternatives? Observing the alms giving ceremony may be on many “Top 10” lists of things to do in Luang Prabang, but there are plenty of other options to make your trip an incredible one: visit the Kuang Si Waterfall and bear rescue centre, visit the dozens and dozens of temples in Luang Prabang, hike up to the top of Mount Phousi for incredible views, visit the night market, take a cooking class or take a boat ride down the Mekong. 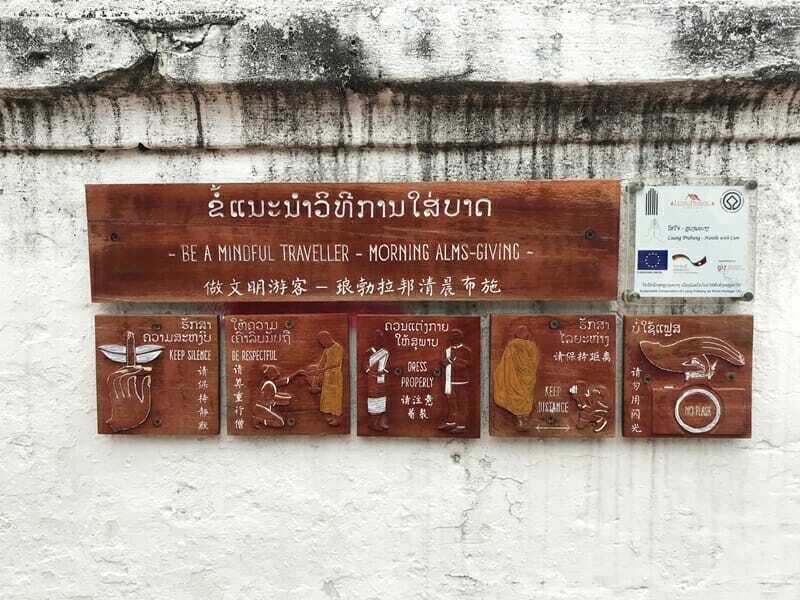 For more ideas check out my list of 9 things to do in Luang Prabang (and what you might want to avoid) or this list of 13 things to do in Luang Prabang. My point is that you don’t have to attend just because it is on a list. A question regarding monks’ opinion about tourism development in Luang Prabang proved to be difficult for the monks to answer. A large number of monks expressed their concerns such as “A lot of tourists see temples as places to visit, but do not see any importance and meaning in them”, “If there are too many tourists in Luang Prabang, local people will be busy and won’t give alms”, “As many tourists stay in town and locals have to move outside the town, there will be less local people in Luang Prabang”, “Tourists and we need to understand each other’s cultures more”, “Many tourists give alms without understanding the meaning of it. They need to dress properly and have good manners”, “Tourists should help Luang Prabang preserve Lao culture and tradition for the younger generation, and dress properly. Even when they talk in a different language, tourists can still use the Laotian way of talking”. The majority stated that they wanted tourists to learn more about the local culture and Buddhism. An elder abbot told the researcher “Some tourists regard binthabat [alms giving] as an activity. They want to have their pictures taken while giving alms. Some tourists don’t dress properly. They look like they just got out of bed. I don’t like seeing that and I don’t even feel like eating food. If they want to do it, they should follow our way of doing it”. Another young novice said “We are actually happier when we see local people giving alms in the morning”. Monks were far less likely to express that they felt a negative impact on their way of life from tourism. Nor, however, were they unreservedly enthusiastic about tourism. The general attitude seems to be one of acceptance of tourism, with an expectation that tourists also respect simple boundaries. 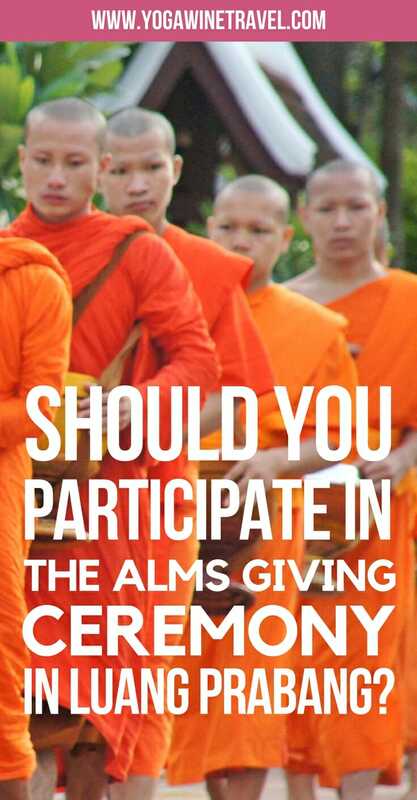 For the tl;dr crowd, here are the main takeaways: when deciding whether or not to attend the alms giving ceremony in Luang Prabang, make sure you understand your own motivations for being there, understand the do’s and don’ts to preserve the dignity and sanctity of the ritual, ensure that you are comfortable with participating and look into all the other things you can do and see in the wonderful town of Luang Prabang. You can also venture beyond Luang Prabang to amazing places like Vang Vieng to explore the countryside and all the lagoons, caves and waterfalls that Laos has to offer! 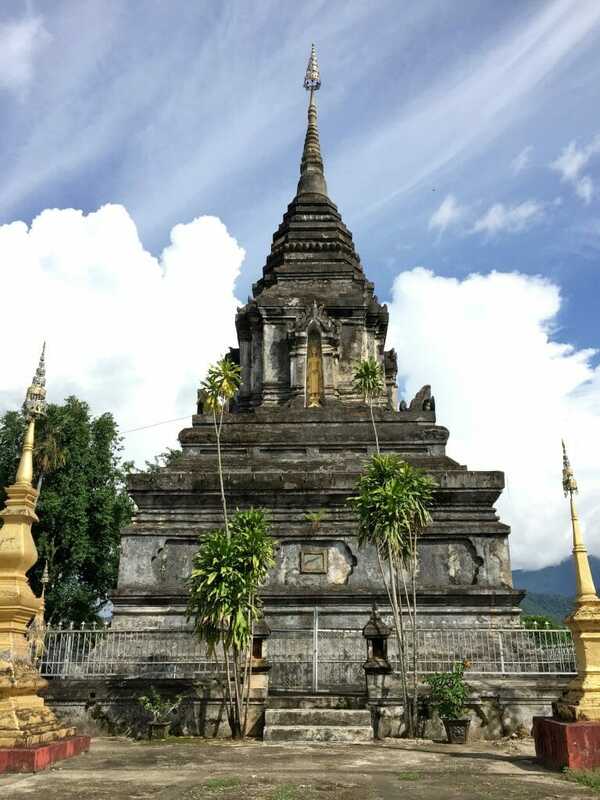 Head on over here for more Laos travel tips or read this article for things you should know before visiting Southeast Asia! What are your thoughts on this issue? Have you observed the ceremony before? Tell me all about it in the comments section below! Wow girly this post is really a breath of fresh air. I have seen too often fellow travelers acting disrespectful in their host country. As someone who has never been to Luang Prabang (yet) I can’t weigh in on this exact situation non the less it resonated with me. The only thing I would say to consider is your opportunity to check the inconsiderate travelers, I know its not your job but telling someone they are being disrespectful (in a discreet way) can stop their behavior and that of others! Anyways I really enjoyed your post! Thank you SO much for taking the time to read through, Cristen! I think a lot of the time it has to do with lack of awareness/research rather than outright disrespect, but these are all good things for us to bear in mind when we make our travel decisions. My only aim for this post was to get people thinking rather than trying to sway their decision in any particular direction! What a wonderfully thought out post on the ethics of tourism. Sadly many people simply don’t put themselves in other people’s shoes when touring a foreign country. I host volunteers in Uganda and often have to tell them to look around themselves for cues on proper behaviour. If you don’t see people wearing short skirts, don’t wear one yourself. Thank you so much for reading, Leslie! My only aim for this post was to get people thinking rather than trying to sway their decision in any particular direction. While watching the ceremony ultimately wasn’t right for me, it can be for others! This looks like a wonderful way to immerse yourself in the local culture. I’ve seen so many foreign tourists act like lunatics in places they shouldn’t, this is a great read for anyone wanting to witness this! And your photos are beautiful, the surround area looks like something out of a postcard. Thanks for reading, Maggie! It can be a great opportunity to learn about the local tradition and Buddhist practice, I think the key is to be mindful in the decision to attend and observe. I would love to witness something like this. I wonder whether they have something like this in Japan as I recently visited. 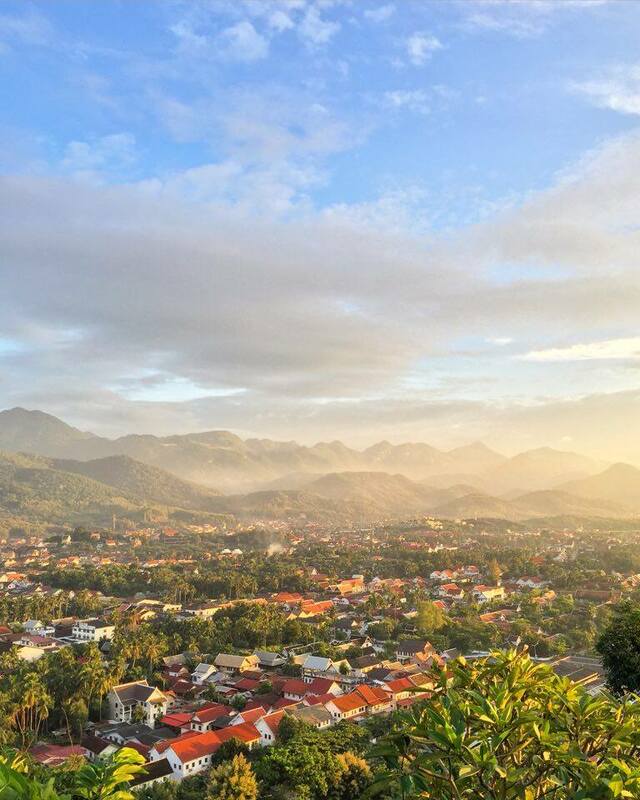 Luang Prabang looks like a gorgeous place! Such an amazing landscape. 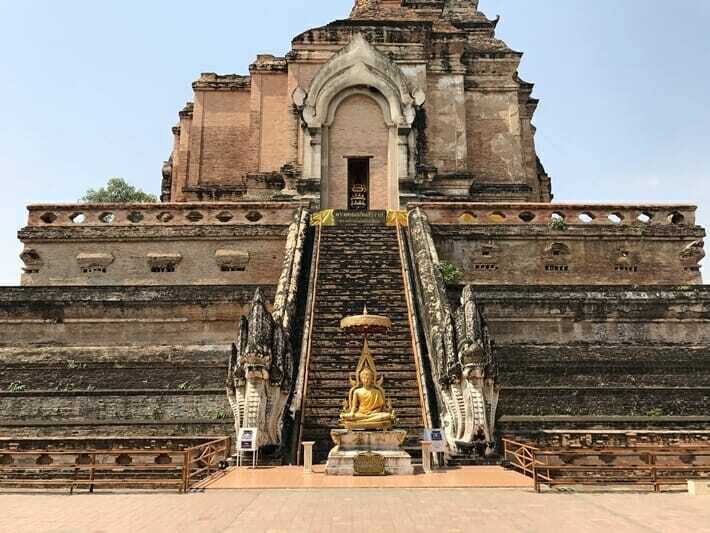 I haven’t been to Luang Prabang, but when I spent time in Cambodia visiting temples and sacred places, I always felt so strange watching tourists take selfies with monks & giggle during ceremonies. It is an amazing experience to witness a culture unlike your own, but you absolutely have to be respectful. This was such a thoughtful and thorough post – really enjoyed it! I agree 100% Christina! Witnessing local customs can be a great educational experience, but the decision to observe or participate should be a mindful one. Thank you for reading! 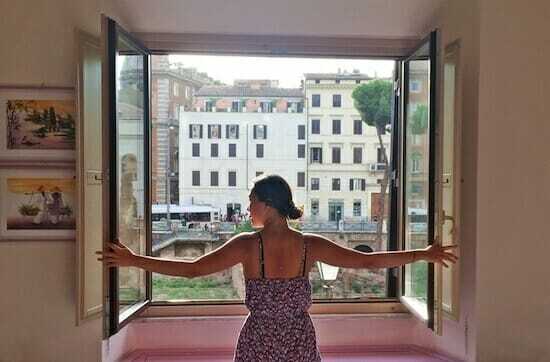 I can understand why you felt that way and a big kudos to you for being a “sensitive” tourist! I think it pays to have more tourists like you. I’ve been guilty a few times on being an “ignorant” tourist on some places I’ve been to so I definitely appreciate travel tips like these. Thank you so much for taking the time to read through, Sarah! I honestly would probably just have turned up to watch the ceremony had I not done a little research into the issue ahead of time. It’s a delicate balance and one that I think is worth pondering over! I felt the same at a ceremony at a temple in Bali. I stood there totally stunned by the ceremony itself but I saw all the other tourists laughing, shouting to one another and this felt so wrong on so many levels. I wish more people would be more sensitive when entering places like this. I’m not religious and not spiritual either but a church, temple or whatever is a place of silence and this should be respected. I completely agree, Theresa! It’s a privilege to be able to observe what is actually a very personal practice, and it’s important to recognize that. 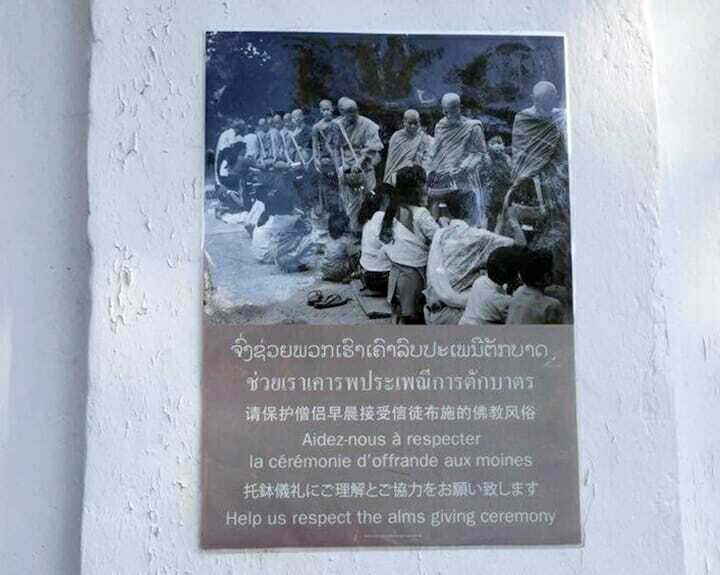 I did observe the alms giving ceremony while in Luang Prabang last year and like you I felt a bit off about it. I watched far too many tourists behaving badly during my travels through Southeast Asia, especially at temples or during religious events. I think that the questions that you presented here are relevant for a lot of cultural experiences abroad. It’s a fine line between learning and respecting a religion or culture and disrespect sometimes and it’s important to be self aware. Thanks for the gentle reminder! Thanks for taking the time to read through, Kassie! The line is indeed extremely fine, and I think it would benefit us all to be more mindful during our travels. I love the style of this post! It’s organized so well, with so much information, yet still very easy to read. I really like the question and answer setup. I also love that you are educating people and making us think of things we might not have thought of. Great post! A beautiful post Flo. I am so glad that you put this together to raise awareness about this tradition and how to properly respect. It really raises some serious questions about how responsible we as tourists & travellers actually are… I think it is so important that we better understand why this tradition exists, what it means, and what we need to consider before witnessing it. When I was in Luang Prabang and witnessed the Alms Giving, it honestly felt like a circus with all the tourists watching, taking photos, talking loudly, getting way to close to the monks etc. Thank you for sharing this Flo. Thank you so much for reading, Raya! It is such a beautiful tradition and is a great opportunity to learn more about Buddhist beliefs and rituals. I think before anyone attends/doesn’t attend it’s best to be mindful of the decision and balance up all the different factors. Thank you so much for taking the time to read this, Glenda! 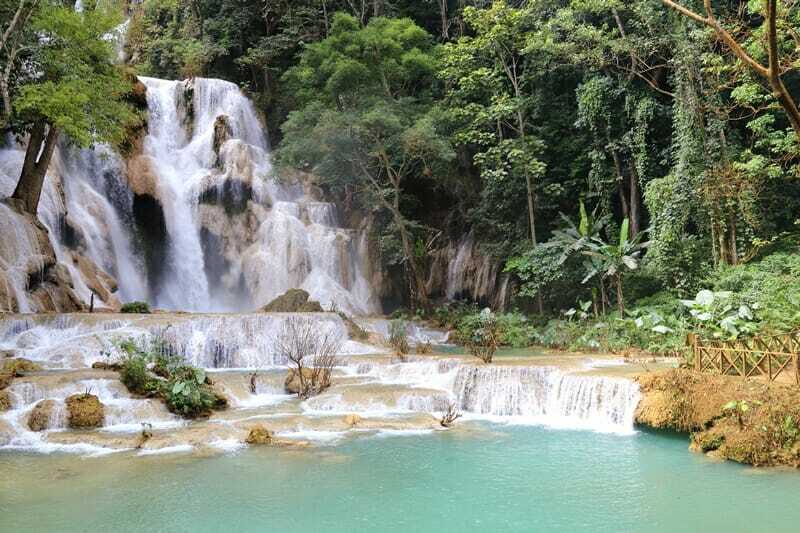 Please let me know if you ever make it to Laos, it’s an amazing country! This is a great post! I was in Luang Prabang last year and I sat on the sidelines observing the ceremony and noticed a lot of tourists with their massive DSLRs and flash in the faces of the monks and being really disruptive/disrespectful in my opinion.. I really like how you’re using your experiences to help educate others how to act when in these situations. Helps make people realise that this is a way of life and a tradition more than a tourist attraction. On ya, Flo! Thank you so much for the feedback, Caroline! I think that most of the time it doesn’t even occur to people that there are best practices when it comes to attending something like this. What surprised me was that I started off researching the guidelines and that transitioned into a broader question about whether or not to even attend. These issues are complicated and I don’t think there’s a right or wrong decision (to attend or not), but it’s definitely worth spending some time thinking about! A great reminder for all, whether it’s about respecting the culture or even respecting the people. It is not uncommon that many local cultures have turned into tourist attractions but I think travelers just need to be more aware of what they really should / should not do. Thanks for sharing! Thanks for taking the time to read this, Dariel! Thanks for taking the time to read this, Larissa! It is undoubtedly a beautiful and unique ceremony, but it wasn’t designed to be a photo opportunity and that point is often overlooked. Long story short, I think it’s just important to make travel decisions mindfully! Great post – you have definitely given me a lot of food for thought and while I would love to observe this ritual, I wouldn’t want to document it if you will solely for the purpose of blogging. Thank you for this post! Thank you for taking the time to read this, Julie! So I have been to Luang Prabang and participated in this ritual – and I agree that too many people observing and taking photos disturbs the tradition. However I have also participated in Myanmar when we stayed overnight at Kyaiktiyo pagoda and it felt a lot more meaningful and peaceful. Certainly the tourists were all Buddhists (the majority travelling to this sacred site from within the country) and they seemed very keen to get us involved. I would liken it to sitting in on a church ceremony – something I would never dream to disrupt with talking or taking photos. A very fine line indeed – I think it’s important to be conscious of the intentions when we participate in religious ceremonies like these, but everyone is different, we certainly can’t assume what’s going on in someone’s mind! But I do feel it’s important that people do their research and make every effort not to trample on traditions. Thank you for your thoughts. I have also been toying with this idea both regarding the alms giving in LP (as this is where I am currently), but also tourist motivations for visiting temples, ceremonies, festivals and sacred spaces. On the other hand, perhaps it is good to lead by example and demonstrate how a thoughtful and responsible tourist/visitor/observer should conduct themselves, by attending and behaving respectfully. I studied Anthropology and therefore am very interested in religion and ritual and how these impact on tradition and culture and shape societies around the world. But am also intrigued by how these traditions alter when they are impacted by tourism and/or commercialism. Hi Nikki, thanks for the thoughtful comment. I do think intentions and motivations are important when weighing up whether or not to attend ceremonies such as these. Education and appreciation through observation is a very valid motivation, but I have to wonder whether that is actually the case with the majority of visitors. I really enjoyed reading the research report (mostly based on anecdotal evidence) – would love to hear your thoughts on it.